Rollin Virgile adjusts a dress for a young woman who drove from Key West to visit his store. Marie Jeannine Desir cries on April 26, 2018 as she explains that the developer who bought the shopping center where her store is located wants to evict her, even though she paid her rent on time. Virgile has been in the same location, at Northeast 82nd street and Second Avenue, for 32 years. 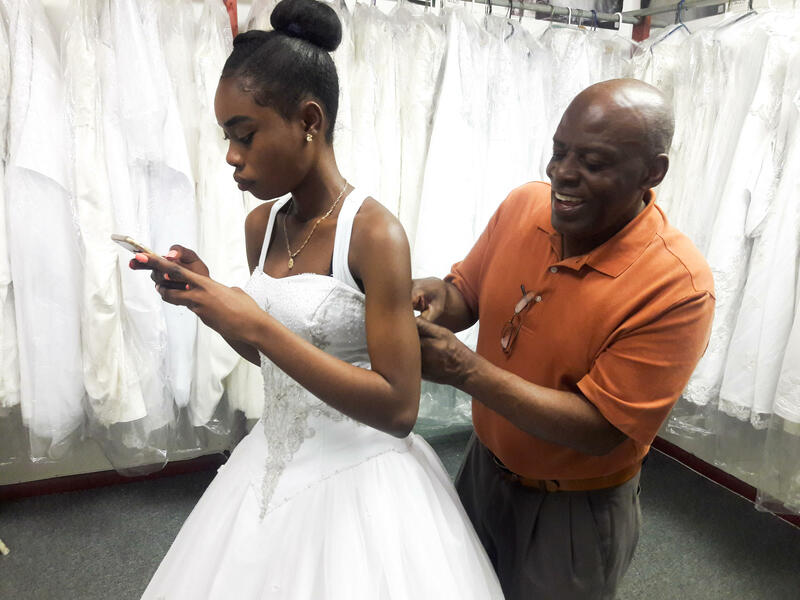 His store, Virgile's Tuxedo & Formal Wear, is known as the David's Bridal of Miami's Haitian community, where customers can rent a tuxedo, robe bridesmaids or find first communion accoutrements. But now the store has to move. The commercial building and another across the street were recently sold to Thomas Conway, the developer of a nearby food hall and a co-working space. Conway has asked most of the businesses, about a dozen, to move so he can rehab the two strip malls. The business owners say Conway has given them about 30 days to leave. On a recent afternoon, Virgile shared the news with a customer who drove from Key West to pick up a wedding dress. Little Haiti, a once predominantly Haitian enclave, has seen a burst of new development and interest from real estate investors and developers because of its central location in Miami. New projects are underway in the neighborhood, rent prices are soaring and Haitian business owners like the ones in the two buildings Conway plans to rehab say they are being pushed out. Conway did not respond to several requests from WLRN for comment. Many of the businesses were operating with month-to-month leases and, in Florida, a landlord is allowed to give a 15-day notice to terminate a lease. Pierre-Richard Maximilien, who runs a travel agency in one of the complexes, said he wrote Conway a rent check, only to have it returned a few days later with no explanation. Then he got court papers saying he was facing eviction for not paying rent. 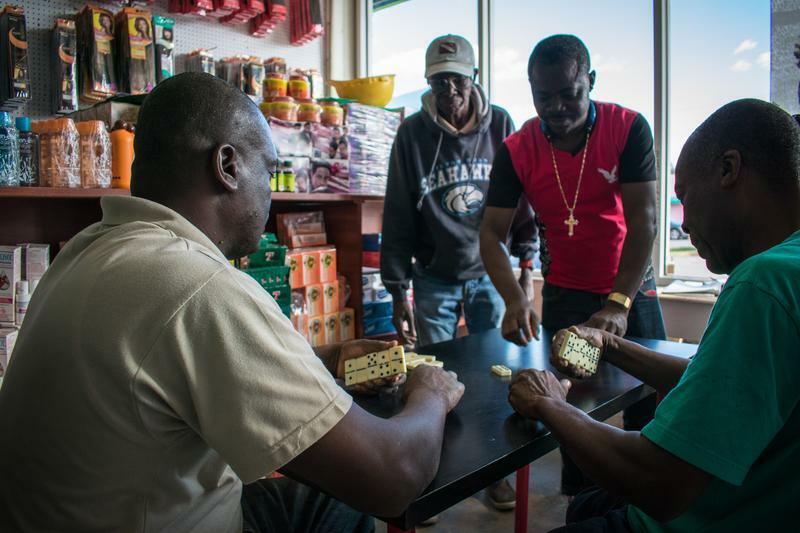 “He’s just killing the Haitian businesses and what we’re doing for the community because we’re serving the community,” said Maximilien, who has been renting his space for nine years. Maximilien said he asked Conway about returning after the mall rehab is complete and was told his rent would increase significantly. "I said, 'How much higher?' He couldn't tell me exactly." Jorge Isaac, an attorney representing Conway, said his client denies claims that he did not accept rent payments from the tenants. 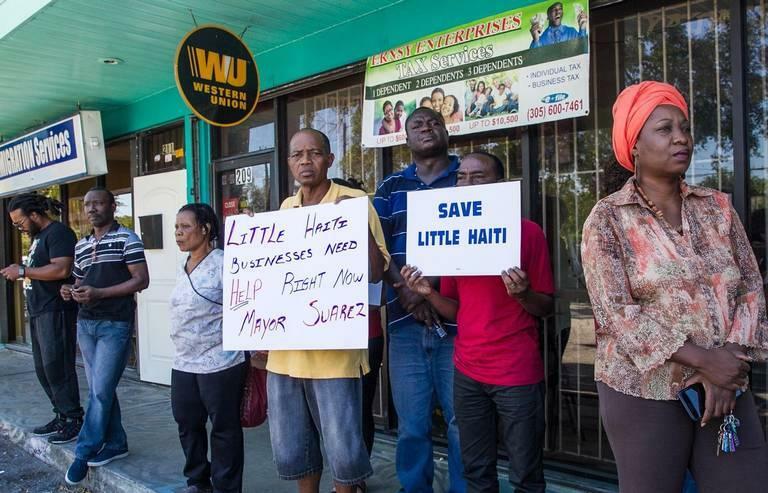 Several other business owners at the complex raised the same issue at a press conference in April, where they denounced one of the largest evictions of Haitian-owned businesses in Little Haiti. One of the signs in Creole read, "We want to pay. Thomas Conway doesn't want to collect." Little Haiti business owners say they will be displaced by the developer who bought the strip mall on the 8200 block of NE Second Avenue where their shops and restaurants are located. “To me, this is gentrification at its worst right now,” said Cartine Vilson, a community organizer with Family Action Network Movement (FANM), a nonprofit that works with Haitian businesses and homeowners in the area. Vilson said Miami has to figure out how to save small businesses from commercial gentrification to preserve neighborhood identity and the financial livelihood of business owners who invested in communities before they became trendy. A few blocks south, a Little Haiti thrift store also called a press conference when it shuttered its doors late last year. Schiller Sanon owned the Little Haiti Thrift and Gift Store at Northeast 59th Street and Second Avenue for six years. He blamed a lack of foot traffic in the area coupled with ballooning rent costs for bringing down his business. “We wanted to be part of the well-being of the Haitian community – and it didn’t happen," Sanon-Jules said. At the strip mall on 82nd street that was recently purchased, Jean Luca is sweeping in front of the storefronts. He does odd jobs for several of the Haitian businesses. Sometimes he gets picked up as a dishwasher in one of the restaurants. He said he knows in a month or two the Haitian businesses he relies on to eke out a living day-to-day will be gone. Some of the business owners say they're struggling to find new commercial space to relocate. 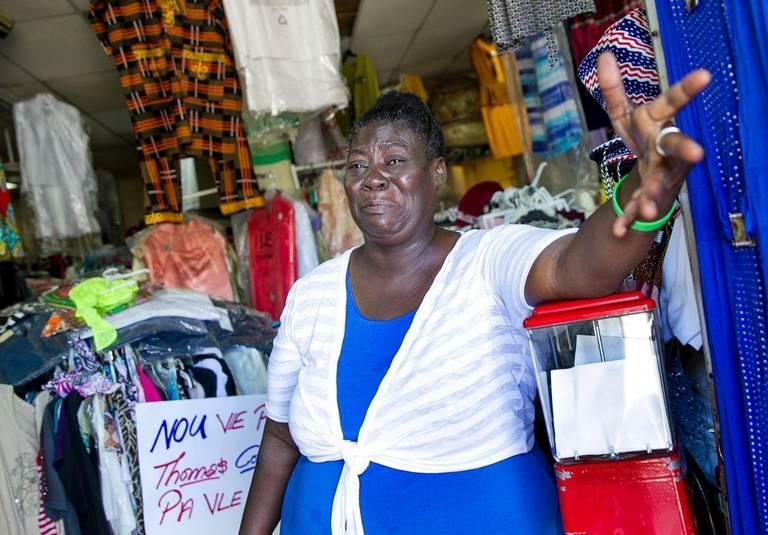 Marie-Janine Desir owns a variety store that sells clothes, lotion, pots and produce. "I can't find anything in this area," said Desir, who lives in Little Haiti and doesn't have a car. She said she walks to work; at lunch she leaves to check on her disabled daughter, who is in the care of an in-home nurse. She said if she doesn't find a place to rent she'll have to put her inventory in storage. "That will kill my business," she said. "I won't be making any money. How am I supposed to live?" Virgile, the tuxedo and formal wear store owner, said it’s heartbreaking to leave Little Haiti, the only place he’s worked for 32 years. The most affordable space he could find was in North Miami, about 15 minutes away. He expects to lose some of his customer base in the move, he said. Gentrification is coming to Little Haiti faster than in any community in Miami – and Haitian-owned businesses are getting pushed out as a result. A group of young photographers from around the country huddled outside the Little Haiti Cultural Center this week listening to Carl Juste, a Pulitzer Prize winning photojournalist for the Miami Herald. Juste, whose father Viter Juste is credited for coining the name Little Haiti, was schooling the photographers about the neighborhood’s vibe. “People live on their porches, people greet. People exchange ideas and conversation outside their homes,” he said. Trump And TPS: Will He Extend Haitians' Stay Here Or Send Them Back? Farah Larrieux is a Haitian who for the past dozen years has built a tele-life in South Florida. She's hosted the public affairs program "Haiti Journal" on PBS channel WPBT. She has a TV production company.